The Colorado River Basin Forecast Center report released on January 16, 2017 predicts an incredible summer of rafting on Utah’s Green and Colorado Rivers. 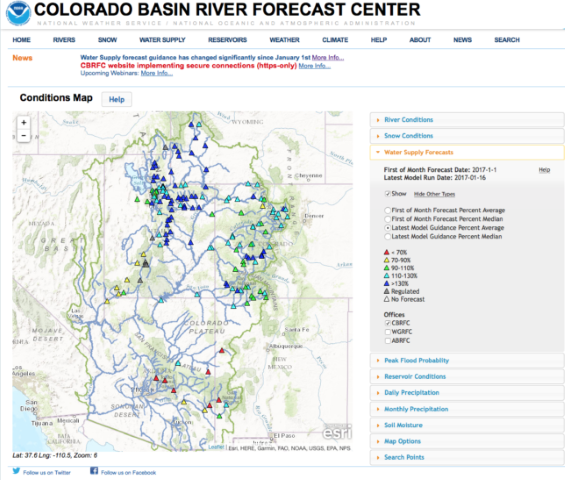 The latest model predicts the water supply at Green River, Utah will be greater than 130% of normal, and the Colorado River at Cisco, Utah will be 110-130% of normal. These high numbers are a result of a series of storms that blanketed Utah, Wyoming, and Colorado with snow. If you have been waiting to experience high flows and huge rapids then come see them in Cataract Canyon. 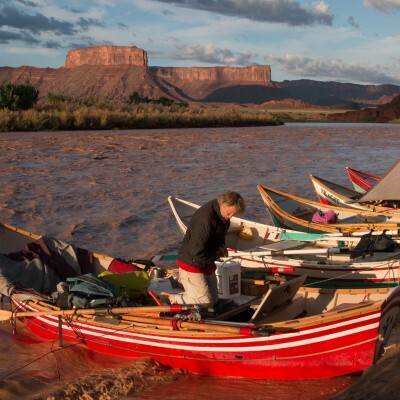 Colorado River & Trail Expeditions has 3 and 4 day motorized launches scheduled throughout May and June, and 6-day oar powered trips in July and August when the water drops out. We can also do custom dates and trip lengths for groups of 12 or more. Historically the peak flow should happen sometime between Memorial Day and the middle of June. At flows above 40,000 cfs the Colorado River in Cataract Canyon has rapids bigger than the Grand Canyon. When the river drops out the rapids are still fun and exciting. 2017 should also be a great year for river rafting on the Green River through Desolation Canyon. Desolation Canyon’s rapids are smaller than Cataract Canyon, but they are greater in numbers and give participants the chance to be the captain of their own ship in inflatable kayaks. Desolation Canyon is a great choice for multi-generational groups and families because it is more suitable for younger kids and offers something for everyone. CRATE starts our Desolation Canyon season in mid May and trips are scheduled into August. I want to go! Now What? To check availability or make a reservation please call us at 1-800-253-7328 or send an e-mail to crate@crateinc.com. We will be happy to answer any questions you might have and prepare you for your Utah rafting adventure. Posted January 17, 2017 by Crate Inc.